Another exciting Albert the Alien greets you this fine Friday! With Wally worrying about himself (so typical of Wally), Gerty finally gets her hands on the alien device. A “controller,” Albert calls it. Which allows her to zap the robot hall monitors and temporarily morph them into robo-puppies. But what are the kids going to do now? Find out next week! 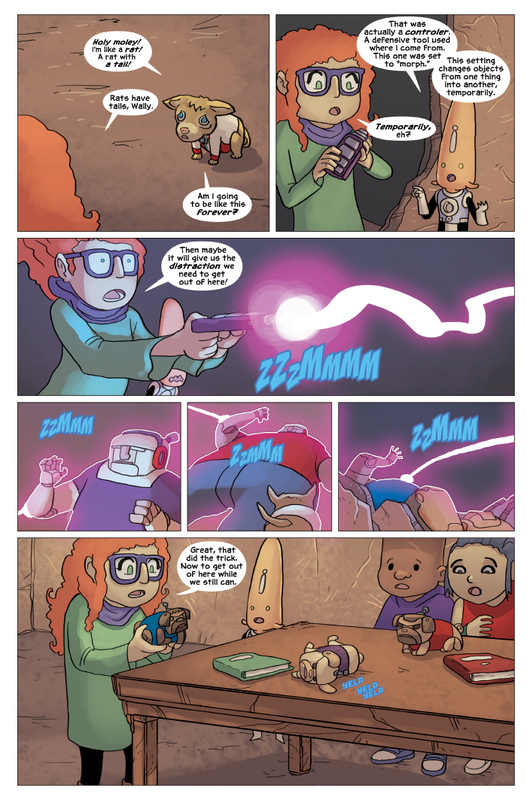 FYI, we’re almost done with New in School – the first story arc of Albert the Alien. It’s ending at the end of March, in fact – right around the time Albert turns 1-year old (in webcomic form). It’s been an exciting ride, and we’ll jump right into the next chapter and story arc for Albert in April. So stay tuned for big announcements and big happenings for Albert the Alien – and come back every Wednesday and Friday for another thrilling installment to his adventures on Earth!